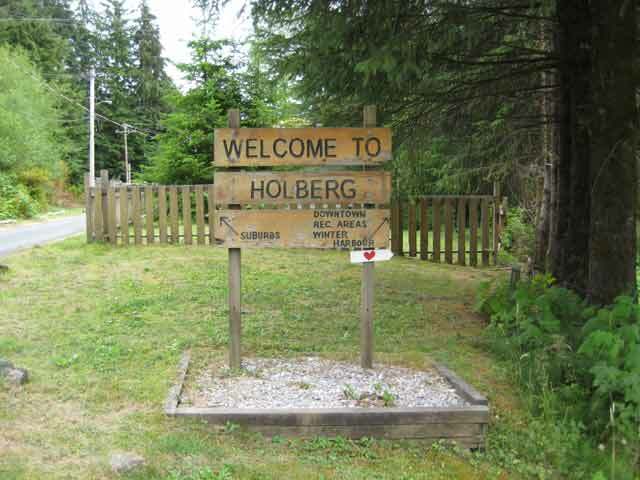 Holberg is located 42 km (26 miles) west of Port Hardy near the north-western tip of Vancouver Island. Holberg was named after Baron Ludwig Holberg, a Danish aristocrat, (1684-1754) who was made famous for his love for drama and history. Holberg was originally founded by Danish immigrants in 1907 and later had the distinction of having the world's largest floating logging camp, now all gone. Rayonier Canada later established Holberg Camp and was a major employer in the area during the 1960's. Holberg became CFS Holberg, a Royal Canadian Air Force base, part of the Pinetree Line warning radar systems, during the Cold War. Operating from 1954 to 1991, CFS Station Holberg had both an operation site on top of Mount Brandes and civilian quarters located just west of Holberg. Today there is nothing left of CFS Station Holberg with all buildings either being demolished or moved - the majority to Port Alice. 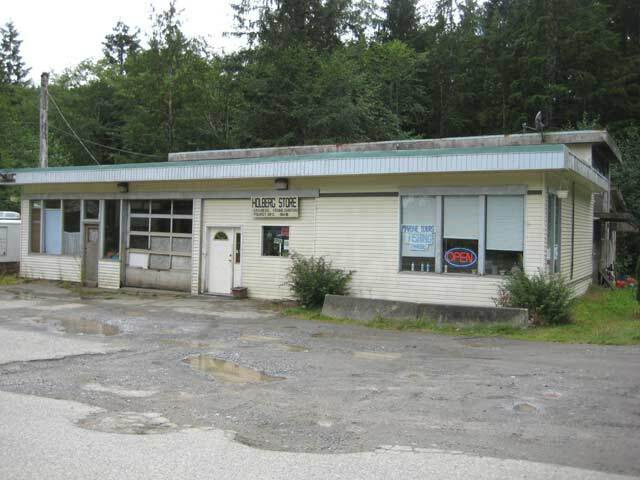 To get to Holberg, you take the turnoff approximately 1 km (.6 mile) south of Port Hardy. The paved Holberg Road quickly changes to a gravel road and travels along an active forest service road so speed and caution have to be respected at all times, especially for wildlife and remember to expect the unexpected. The gravel road though into Holberg is well-marked and is maintained both by highways and the forestry industry. It passes through various logged-out sections and through thick mountain forests past Kains Lake and, later, Nahwitti Lake. The trip in takes at least an hour travelling from Port Hardy to Holberg under normal conditions and depends on how many graders are working, plus weather and road conditions. 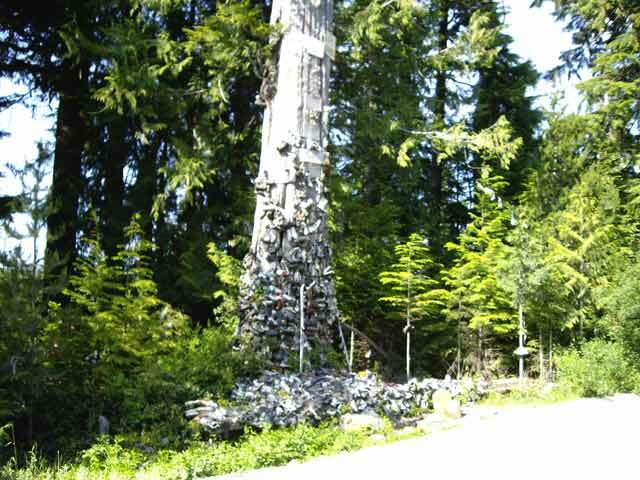 Along the way into Holberg near the east side of Kains Lake, you'll pass an old Cedar tree snag with a large amount of shoes draped over it. Nicknamed the 'Shoe Tree,' it was first started in the early 1970's but has really progressed since 1989 as a joke by local resident, Tracey Anonson. The Shoe Tree now has hundreds of shoes, boots, runners and sandals placed on it by passing travellers. The community of Holberg in its heyday of Rayonier Canada and the Royal Canadian Air Force had a population of up to 2,000 people. Today Holberg is quite small, especially since the decommissioning of CFS Holberg on 17 January, 1991. Most of the 200 or so inhabitants work directly in the forestry industry or by servicing it. The residents either live in a section of town called the 'Suburbs' or past 'Downtown' in a group of company-owned buildings. If you are looking for entertainment, meeting the locals or finding a place to eat, the only option is the Scarlet Ibis Pub & Restaurant. 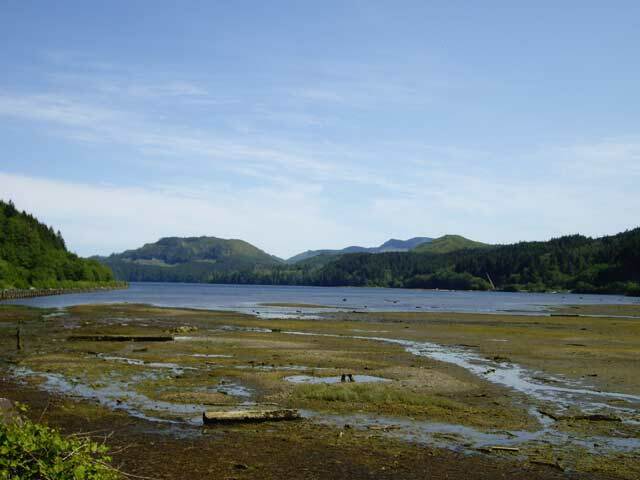 Situated on the edge of Holberg Inlet, the Scarlet Ibis is conveniently located on the way to Winter Harbour or Cape Scott Provincial Park. 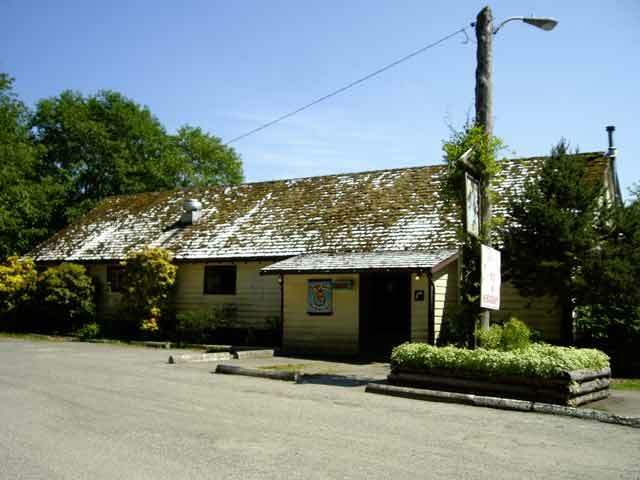 The pub makes a place to enjoy a much-needed meal and celebration, especially if you have just completed a hike into Cape Scott Provincial Park and are craving a change from campground food. 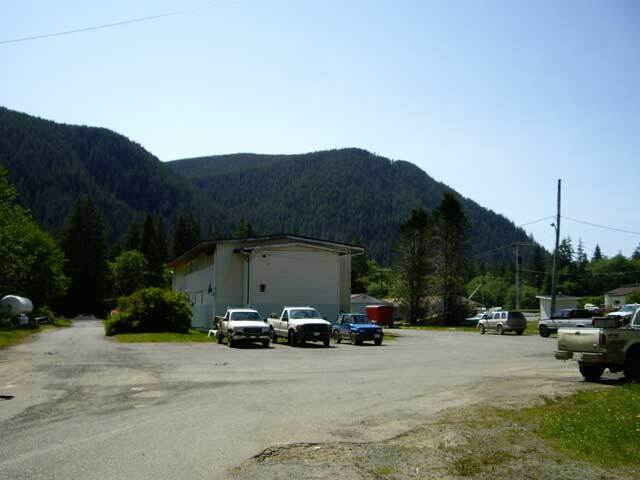 For other services in Holberg, there are the Holberg Medical Clinic and post office located near the logging operation buildings on the west side and the Holberg Store, situated near the entrance of the village, which advertises gas and diesel fuels, fishing charters, B&B and tourist information. For accommodation try the Holberg Motel. Just remember if you are enjoying the countryside around Holberg, please remember this is Bear Country as is the rest of BC. Try to avoid the rivers during heavy salmon spawning times unless you feel comfortable with bears around. There is also the possibilities of encounters with wolves or cougars so please play it safe and practice good outdoor wildlife procedures.